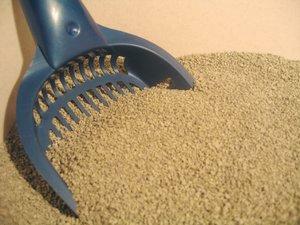 Litter box problems can be the most frustrating thing a cat owner has to face. So, what do you do when your cat refuses to get with the program? See the advice LTK's expert offers visitors. Question: Why Won't Cat Use Litter Box? I think the solution to your problem is to provide your kitten with a covered litter box. Since your kitten only seems to have accidents in out of the way places when the family is home, I think he's actually looking for more privacy. A hooded box will provide your kitten with more privacy, and this will hopefully put an end to the problem. If he seems to need more privacy than this, you could try moving his box to a place with a bit less traffic. I have a three-year-old male that has a problem using the litter box. He will do okay for a while, but then he starts defecating on the carpet in a certain spot. He'll do that for a while, then go back to the litter box. I have tried everything from keeping the litter clean to changing brands, etc. It doesn't seem to matter. He will just pick a spot and use it for a little while. He does not urinate, just defecates. I have another 18-month-old male that uses the box faithfully, and I have two litter boxes for them. How can I stop this behavior in the older cat, and can you tell me why he is doing it? I work during the day, so I am not there to keep an eye on him. I can't give you a definite reason why your cat is pooping outside of the box. I can only offer my thoughts. You said you're keeping the box clean, so we won't go into that issue. When you changed brands, did you make it a gradual change or just completely switch to new litter? An abrupt change can cause an upset in your cat's routine. If you're not home during the day, can you be sure that it's only one cat that is pooping outside of the box? The pooping could be related to a small territorial struggle going on. Are both cats neutered? If not, that brings us back to the issue of territories. Stress can also cause changes in a cat's litter box habits. Look back to the times when the pooping has taken place outside of the litter box. Was there anything out of the ordinary going on in the house? Guests, work schedule change, etc.? As you can see from my short list, there are a lot of things that could cause the intermittent pooping episodes, so here are my suggestions to try to resolve the problem. Next time the pooping begins, take your cat in to the vet for an examination to make sure there isn't a medical problem involved. As I said previously, any kind of stress can contribute to this behavior. Also evaluate what's going on in the house during this period. You may be able to identify your cat's "trigger" for the behavior. If the pooping is mainly happening while you're at work, confine your cat and his litter box, food and water in the bathroom until you get home. This will keep him from going elsewhere in the house, and will also serve as a refresher course in litter box training. Since he seems to pick a certain spot to use repeatedly during these episodes, try setting the litter box in that location temporarily to remind him where he's supposed to go. Thanks for your question, and I hope you find at least one of these suggestions helpful to your situation. My cats just turned eight years old, but I've only had them for three and a half years myself. Their previous owner only provided them with one litter box, and so that's what I did too. Suddenly, one of my two cats has decided that if there is anything in the litter box she won't poop in it. She will always pee in it, but not poop. If I'm there watching her, she'll do the right thing and go in the box where she's supposed to. I've heard that sometimes when cats get older they don't like to share a litter box. Is this true? If not, how can I get her to poop in the litter box again? You know, it really is a funny thing. Some cats have no aversion to sharing a box, while others cannot tolerate it. I'm not sure why your cat is choosing to poop outside of the litter and yet still pees there. Many of the litter box questions I receive revolve around pooping issues. I think cats have more of a sense of leaving something behind with stools rather than urine; they are more picky about it. In answer to your question, there are a couple of things you can do to try to get your cat back on track. The easiest thing would be to add a second litter box to your home, and make sure your female knows where it is. Maybe you could put it in one of her favorite spots to hang out. You could also try scooping her poops back into one of the litter boxes to signal where you want her to go. Hopefully she'll get the picture. If she continues to soil outside of the box, it might be a good precautionary measure to have your vet give her a check up. It's good to get a baseline health analysis on record as your cat enters her senior years. Your vet may actually discover a physical problem behind the pooping issue. There are three cats in my household. My roommates and I are at odds about which cat is pooping outside the litter box. Of course, we each disagree that it is our own cat, and we don't really want to set up a video camera. Is there a safe way to dye their food or give them special treats that would color their stools so we can narrow down which cat it is? My hunch is that if one cat started it, the others may join in. Yes, you could try serving each of the cats a different colored cat snack of some sort to see if it colors their stools. You might also try adding some food coloring to some canned food for each cat, and then perhaps you'll be able to trace the culprit. However, there's no guarantee this is going to work. Setting up the video camera is actually a better idea. Good luck with your sleuthing!